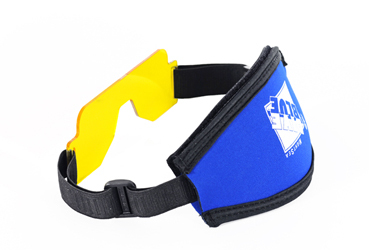 Ultraviolet light has increasingly been in the scuba spotlight lately, and for good reasons. We know that normal white light brings out the reds and other colors while diving, but UV lights take this to a new level: we can see the fluorescent properties of the reef, corals, fish, invertibrates and much more. If you haven't seen a UV light underwater, imagine swimming through a real-life blacklight poster. It's very cool. Light & Motion developed their powerful Sola Nightsea UV light, and I took it on our yearly Bluewater photo workshop in Anilao, Philippines for testing on a night dives. 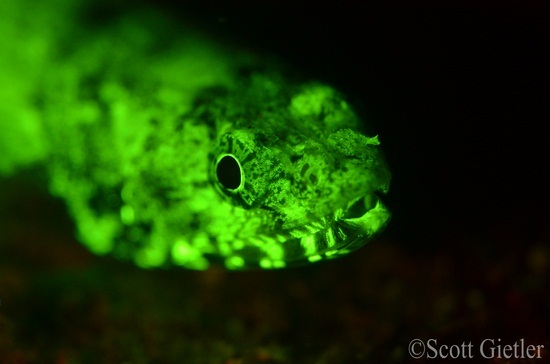 The light acts as a flourescent exciter, which means the light stimulates certain marine life to "flouresce" and emit light in colors we normally don't see. 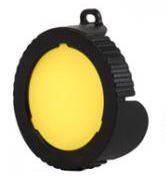 This "white light" cap allows you to turn your Sola Nightsea light into a regular "white" light. The Nightsea camera filter goes over the outside housing port, and only lets the flourescent light hit your camera lens. This is the nightsea "mask filter". It slides over the outside of your mask, and lets you see only the flourescent light that the marine life emits when hit by the UV light. I was initially skeptical about how much I would enjoy using the Nightsea light. Hever, owhen I did my first UV dive, I was pleasantly surprised that the entire underwater world was lit up beautifully, in a way that I've never seen before! 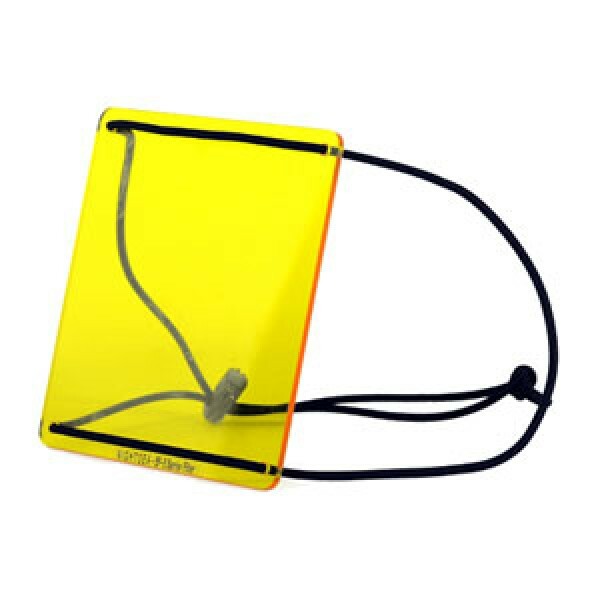 The light is small, light, strong, and easy to use. You do not need to be an advanced photographer to pick up this light and immediately get some very cool shots. The light has a spot and flood beam, but for this review I only used it on the flood (wider) beam. For small macro subjects, I suppose I could have switched to the spot beam for a stronger UV light. 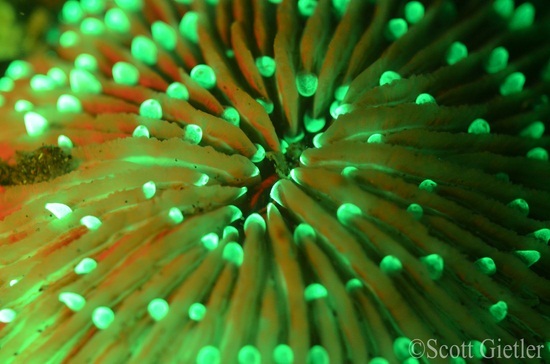 Giant corals, crinoids and anemones everywhere were lit up in amazing green and red colors. 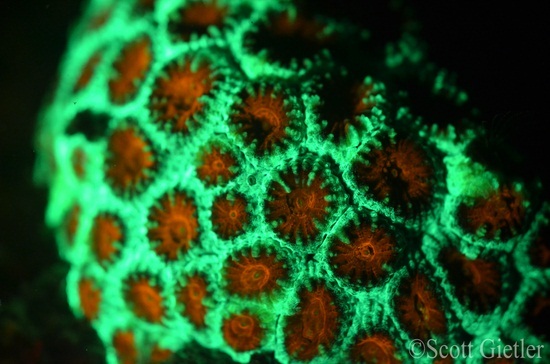 Of course, not everything was lit up, but on the coral reef huge sections glowed in dazzling colors. I stayed down as long as I could on this dive. I was definitely a fan. My camera was quick to focus on any subject I shined the Sola nightsea light on. 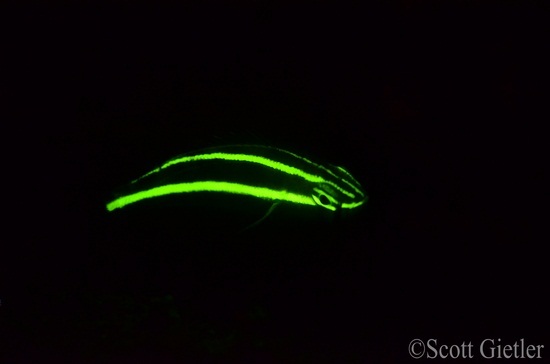 Sometimes the animal did not glow brightly, and sometimes shutter speeds were slow. When this happened, I sometimes had to open up my aperture (I usually shot in Av mode) at the expense of depth-of-field. Photos with a shutter speed of less than 1/100th often were soft due to a little bit of camera shake blur. I kept the Nightsea light on high power for most of the dive, and it easily lasted the entire dive. Wear the Nightsea light on your wrist. The light comes with a wriststrap. I recommend using a high ISO, anywhere from ISO 800 - ISO 3200 depending on your camera sensor. 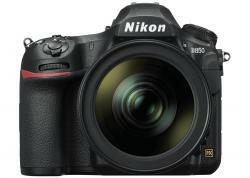 Canon 5D Mark III shooters can shoot at ISO 6400. I had no noticeable noise in my photos using ISO 1600 with my Nikon D7000, I may use ISO 2500 next time. A mid-range lens works best. 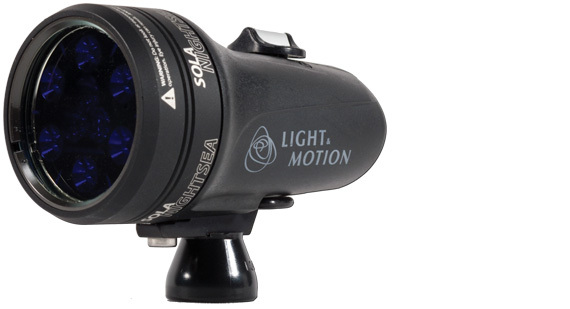 If you shoot wide, you will need 2 Sola nightsea lights for the proper coverage. A long macro lens like a 100mm macro lens may result in too much camera shake. My Nikon 60mm macro lens worked well. You want to be able to get very close to your subject, and shine the UV light from a close distance. The faster the shutter speed, the less camera shake you will have. I prefered to have at least 1/100th of a second shutter speed. 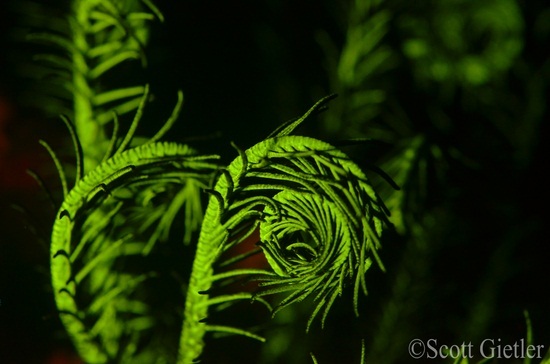 Some objects will fluoresce more than others, so if the shutter speed is too slow you will need to open up the aperture all the way, and/or shine the UV light very close to the subject. You don't want sunlight mixed in with these photos, so use this light only at night. What I learned was - you never know what will flouresce with the Nightsea UV, and what colors it will show. This light has "rekindled" my interest in taking some unique photos, and I am looking forward to taking it on a night dive in California waters this month! 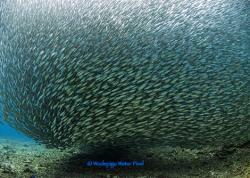 Scott Gietler is the owner of the Underwater Photography Guide and Bluewater Photo. 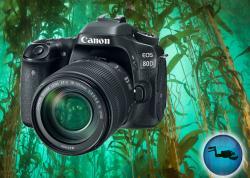 He enjoys helping others learn underwater photography online, in the store, and during international photo trips that he attends with his customers. Please support the Underwater Photography Guide by purchasing your underwater photography gear or Sola Nightsea UV light through our sister site, Bluewater Photo & Video. Click, or call them at (310) 633-5052 for expert advice!